ISBN 978-90-6369-326-8 Copyright ÂŠ 2013 BIS Publishers, Joyce Yee, Emma Jefferies and Lauren Tan All rights reserved. No part of this publication may be reproduced or transmitted in any form or by any means, electronic or mechanical, including photocopy, recording or any information storage and retrieval system, without permission in writing from the copyright owners. ACKNOWLEDGEMENTS An idea usually arises from a question. The question, ‘How is design changing today?’ did not form overnight, but rather built up slowly and solidified through discussions and encounters with colleagues and peers. It is a question that has driven us to search for answers around the world, both physically and virtually, and to experience dynamic conversations with insightful and enlightened individuals. This book would not have been possible without the generosity of these individuals, and many others to whom we wish to extend our thanks: • To all the designers and practices that generously gave up time to share their stories with us, providing us with valuable insight into the transitions happening in design practice today. • To all the individuals who contributed to our list of the world’s most admired design companies, enabling us to capture these as-yet undiscovered stories. • To our editor Louise Taylor, who helped transform our text into a fluid and engaging narrative. • To our website designer Vicky Teinaki, who provided us with a platform from which to share our stories as soon as they were captured. • To our publisher Rudolf van Wezel, who had faith and gave us the freedom to shape this book around our vision. • To our colleagues at the Design School at Northumbria University, who not only provided generous institutional support in the production of this book, but also opened many exciting doors for us thanks to their international connections. • And finally, to Tim Brown, CEO and President of IDEO, who took time out of his incredibly busy schedule to provide a thoughtful and perceptive foreword to this book. Design is what we do to shape the world around us. Hence, as advances in technology and knowledge cause that world to change so the methods by which we design must also change. The industrial revolution enabled a considerable proliferation of new design practices, ranging from commercial graphic design and design for film and television to industrial design and transportation design. The signs are that the post-industrial information age will produce a far greater expansion. Already we have seen the emergence of interaction design, video game design, design of data, service design, design strategy, design innovation, social design and design futures. New disciplines emerge alongside the latest developments in science and technology. Bio-design has established an early beachhead under the guise of bio-mimicry, but this is surely just version 1.0. Already designers are working alongside synthetic biologists to explore what it means to design with DNA. Similarly, the emerging ‘Internet of Things’ is creating new opportunities for designers to combine the design of the physical and digital in new ways, with the likely result being that some other kind of new design discipline will emerge. In addition to what we are designing, it is important to consider the changes in how we are designing. My colleague Jane Fulton Suri talks about the changing relationship between designers and users in terms of designing for, with and by users. Traditionally designers, like architects before them, took responsibility for designing on behalf of users. In some cases there was no attempt to ‘know’ the user, but rather a belief that the designer’s job was to interpret the world on that user’s behalf – often, in effect, designing for themselves. This strategy can be successful when applied to relatively simple questions. The design of a glass, a toilet brush, a chair, or a building can be quite amenable to this approach. But it was the emergence of more complex design problems, in particular intelligent products and computer-based systems, which forced a reconsideration. Some designers, including my mentor Bill Moggridge, began to see the importance of a deeper understanding of the user. Instead of relying on traditional market research, they embraced ethnographic forms of enquiry and got out into the field, working with users as an inherent part of their design process. This approach became a founding principle for many of the new design disciplines, such as interaction design and service design which both have deep research and collaboration with users at their core. Change is the very nature of design, an essential part of its DNA. Design practices are shaped by shifting societal, economic, political and ecological needs, and designers themselves thrive on the search for new and more innovative solutions, projecting into the future in order to challenge the status quo. Design responds continually to change â&#x20AC;&#x201C; and so design itself must change continuously. Design Transitions presents 42 unique and insightful stories of how design is changing around the world. Twelve countries are represented from the perspectives of three different communities: design agencies, organizations embedding design; and design academics. Since change has always been a defining characteristic of design, why focus on it now? What makes the current transitions within design practices so important? Climate change, depleting global resources, global financial crises, the rapid pace of technological change and emerging social activism are forcing us to reconsider the way we live. Businesses are struggling to remain economically viable in these circumstances, and are increasingly turning to design in search of fresh approaches that will help them to face the unforeseeable future. A new generation of designers are taking the lead in addressing these challenges, moving away from the design of objects and into the design of services and experiences, in the process expanding their sphere of professional responsibility to include leadership, policy, strategy and the shaping of positive social change. Our approach Our goal in writing this book was to explore the question â&#x20AC;&#x2DC;How are design practices changing today, and where are they heading in the future?â&#x20AC;&#x2122; As design practitioners and researchers we have witnessed for ourselves how design is moving into new areas, and in this book we wanted to explore these changes through the eyes of other designers. We have captured the as-yet untold stories of a wide range of design practices to paint a rich, pluralistic and truly global picture of where design is heading. The stories and viewpoints captured here have been selected by the authors and also crowd-sourced from within the design community. Our selection includes a diverse cross-section of small practices and larger, more established organizations operating in both the developed and emerging markets. 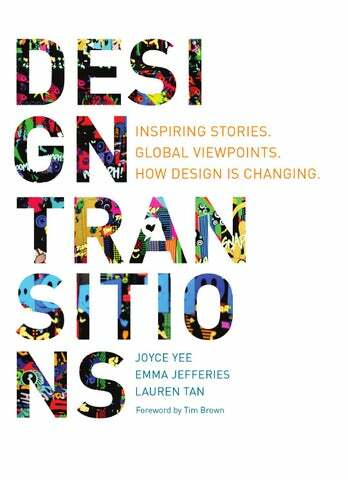 Design Transitions is divided into three sections: Section I: Changing Practices features 25 stories from design practices in a range of disciplines. There are two types of stories: longer case studies (six to eight pages long); and short snapshots (two pages). Some of these case studies focus on distinct transitions within design processes and approaches, while others describe changes in philosophy and values. Matt Jones is one of three partners in BERG, a design consultancy based in London that works with companies to research and develop technologies and strategy, by finding new opportunities in networks and physical objects. BERG specializes in product invention, working with technology and media companies across web, mobile, video and the Internet of Things1. We spoke about the importance of thinking through making, and how video has become a key tool for prototyping behaviours in internet-connected products. One of BERGâ&#x20AC;&#x2122;s key transitions has resulted in improved access to manufacturing processes, and the availability of networked technology which has enabled them to bring their first internet-connected product, the Little Printer, successfully to market. practice, rather than through theory, by experimenting with them ourselves at a smaller scale. Our studio is full of generalists: either designers with a sense of curiosity and a penchant for technology, or technologists who have an eye for product, media and culture. We all get along, and the conversations that happen between us make for good outcomes in terms of design. We have specialists that we use a lot, such as animators, electronic engineers, data mining specialists, model makers and people with a technical or craft specialty. We have a great working relationship with these contractors, who we treat as part of our extended family. BERG’s philosophy and process Our work is mainly driven by curiosity, and this is reflected in the diversity of our projects. We are a curious bunch of people, very interested in new technologies and how they might be used to create new experiences, pieces of cultural media, things in your home and things in your life. This curiosity that drives our activities is also what draws in our clients. They want us to bring that curiosity to bear on their company’s technology, to find out where it could go and how it might do something quite unexpected, unusual, quirky or interesting. We are a curious bunch of people, very interested in new technologies and how they might be used to create new experiences, pieces of cultural media, things in your home and things in your life. us. Our blog – where we publish our thoughts and talk about how we develop our own products – is another avenue. There are lots of different starting points, but generally people know we have a certain approach to exploring ideas and have seen what we have done in the past. That often becomes the starting point for a conversation about what they are interested in, and what BERG’s viewpoint on that might be. We always ensure we are able to work in a nimble way, to allow us to start making quickly. We do not have any account handlers or account management. Everything is done through the Principals of the company: myself, Matt and Jack. Our nimbleness is reflected in our early prototyping process, where we find out as fast as possible what works, what does not and what needs to be refined in order to discover where the value really lies. We are inspired by the Pentagram model, where each Principal leads a small dedicated team and continues to work closely with their client. One of the main changes in our practice is our increased capability to build and prototype as we have expanded. small a scale to be successfully manufactured. Six years on the world has changed, and there are now many more factories geared up for small-scale manufacture. New technologies have enabled the rapid prototyping of electronic and engineered components, and the emergence of a bigger shared knowledge base. It was a culmination of the experience gained from our past projects, emerging new technologies and the growing community of shared knowledge that made Little Printer possible, and as a result we were able to successfully launch this web-connected printer for the home in November 2011. Little Printer enables people to use their mobile phone to configure the type of information they wish to receive – for example tweets, news, calendar notifications, word puzzles and even messages from a friend’s printer. Another big change in our practice has been the increasing use of video to create prototypes. Technology should be something that people want to invite into their homes, that we buy because it is appealing and functional rather than something we have to post-rationalize. that we buy because it is appealing and functional rather than something we have to post-rationalize. It should be a given that our technology works well â&#x20AC;&#x201C; but it also needs to work with wit and with charm if it is going to be something that we are happy to have in our home for years to come. ~end~ Notes 1. The Internet of Things is a term that was first used by Kevin Ashton in 1999, and refers to physical objects embedded with sensors and actuators and linked through wired and wireless networks, often using the same Internet Protocol (IP) that connects the internet. These objects (or Things) have the ability to communicate, and to connect people and machines anywhere and anytime. 2. A boundary object is a sociological concept describing objects that are flexible enough to adapt to a local context (with constraints), yet robust enough to maintain a shared understanding of its meaning. Idiom is a design and consulting practice based in Bangalore, India. It is an integrated design consultancy, which â&#x20AC;&#x2DC;incubates business ideas for societal transformation, and ideas on life and livingâ&#x20AC;&#x2122;. Idiom designs business strategies, brands, experiences, communication and products for a variety of emerging sectors including retail, healthcare, education and hospitality. The practice has grown significantly since its foundation in 2006, from 30 employees to over 100. They have worked on a range of high profile projects such as the design and branding of the 19th Commonwealth Games in Delhi in 2010, and recently gained international attention for their high-profile open innovation project DREAM:IN, which has been named as one of six global Game Changers by Metropolis Magazine. Here Sonia Manchanda, Co-founder and Principal Designer at Idiom, shares the story of its evolution, its practice today and what the future of design at Idiom will look like. from the community, mixing audiences from different economic backgrounds in a space that was accessible for all. It was familiar yet different. This was a place that had customers arriving on bicycles as well as in Mercedes cars! We wanted to have fun and create something new, gamechanging and innovative. Our success with the hypermarket means that it is now a ‘movement’, being replicated across India. While Tessaract was designing the store itself, Esign was brought in to design the brand, shape the shopping experience, create new retail formats and provide design input into the business. 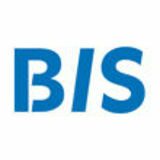 The partnership brought together business strategy, Design Thinking and experience design. While Esign and Tessarat offered ‘form’, we were also offering the ‘thinking’ part of the process. It was in this relationship that the seeds of Idiom were sown. Idiom was set up in 2005, with Mr. Biyani acting as mentor and investor to the practice. Mr. Biyani had seen firsthand how powerful Design Thinking could be in comparison to typical management approaches, and recognized the value of scaling the Design Thinking approach. Our aim in setting up Idiom was to find and define the Indian ‘Idiom of Design’. What is the Indian need for design? What is the Indian expression of design? What is the Indian thinking for design? At Idiom, we start from local insights in order to realize global strategies. We wanted to create a large, vibrant and young interdisciplinary design firm, committed to taking ideas from mind to market with skill, speed and imagination. Partnering with business leaders, and building relationships to demonstrate the difference design can make, became an integral part of our game-changing projects. We were and are interested in helping leaders realize their vision. As a leader, you cannot be caught up with business results from the last quarter. Founded in 1989 at a research centre in Lisbon Technical University, Novabase’s name translates as ‘new database’ and derives from the organization’s initial core expertise in databases. Today Novabase has over 2,300 employees, an annual turnover of €230 million and offices in locations around the world including Spain, France, Germany, England, Mozambique and Dubai. Pedro Janeiro is Novabase’s Head of Business Design, and has been involved in the process of embedding Design Thinking within the organization. Here, Pedro shares the story of Novabase’s transition into a Design Thinking organization. us to improve the system iteratively. This has made a huge difference at Novabase as we are now able to work collaboratively with the client at a much earlier stage, getting accurate feedback from the start and engaging in a constant dialogue. However, there is a small price to pay. Design Thinking methods have had to be watered down and adapted to make them more palatable to our staff. The sheer impact of full design approaches proved just too overwhelming, even alien, to our engineers. Embedding Design Thinking at Novabase Over time we have also had to work out how to embed Design Thinking into the Novabase culture. Every year we have a company kick-off meeting attended by everyone in a managerial position, about 300 staff in total. An executive who had attended the Stanford boot camp had a crazy idea. Instead of having a one day kick-off meeting, he suggested we run a two day boot camp to teach the top 300 people in our organization what Design Thinking is. It took six weeks for the organization to consider and agree to this. It was risky, as no one had attempted to use this method to train such a large group of people in Design Thinking before. Our boot camp would be four times bigger than anything Stanford had done. It was daunting, but with careful planning we managed to carry out the training successfully. The reason a lot of IT projects fail is because companies create these massive and complicated reports that nobody understands. Design Transitions presents 42 unique and insightful stories of how design is changing around the world. Twelve countries are represented from the perspectives of three different communities: design agencies, organizations embedding design; and design academics. Our journey has taken us across the globe in search of the most innovative design practitioners, and their answers to the question 'How are design practices changing?' From small practices to vast corporations, the renowned to the lesser known: these are the stories of people working at the fringes of the traditional disciplines of design. They have opened up their design worlds to reveal the methods, tools and thinking behind their inspirational work. Step into Design Transitions to discover where design practice is today â&#x20AC;&#x201C; and where it will take us in the future.